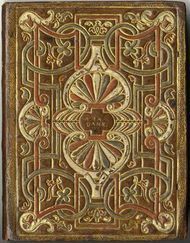 The next Lyon Book History Workshop will take place from Monday 26 June to Thursday 29 June 2017. For the 14th edition of its Workshop, the Lyon-based Institut d’histoire du livre is offering 4 courses in the fields of book and printing history, taught by James Mosley with Nelly Gable, Neil Harris, Isabelle de Conihout and Dominique Varry. The four classes run simultaneously during 4 days at the Enssib LIS University, with practical sessions at the Lyon Public Library, the Lyon Printing Museum and other rare book repositories in Lyon. The courses are aimed at a large variety of professionals from all around the world (librarians, curators, scholars, artisans, collectors, graphic designers, booksellers, doctoral students, etc.) 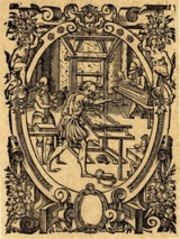 who encounter questions related to the history of the book, printing and graphic communication in the course of their work or research. Each course is taught by a leading international expert in the field with emphasis on the study of original documents. Each course consists of seminars and practical sessions, adding up to 24 hours of teaching time from Monday 26 June 9 am to Thursday 26 June 5:30 pm. In order to facilitate access to collections and ‘hands-on’ study of original documents, each class is limited to 12 students. The course fees include the provision of study materials, a welcome cocktail on Monday evening and tea/coffee breaks. It does not include meals and accommodation. We are pleased to inform you that the Society for the History of Authorship, Reading & Publishing (SHARP) will be supporting this year’s Book History Workshop by allocating a grant to one of our students. Beneficiaries of the Sharp bursary will receive full tuition to one of the courses of the 2017 Book History Workshop and a stipend to help cover costs of travel and lodging. Candidates are requested to send the workshop application form, their CV and a cover letter to ihl[at]enssib[dot]fr by 31 March 2017. The bursary is only open to current graduate students, post-docs, junior faculty and adjunct professors, and to those within 5 years of their last awarded degree in any discipline. Recipients need to be members of SHARP (by the time they receive the funds) and agree to provide a brief report on their experience after completing the course. Preference will be given to applicants from outside France. Subject. 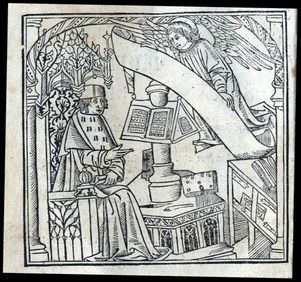 Rare book schools are very much about: “look at the object, and tell me what you see”; at the same time, courses on how you tell people to do this are not common. The largely Anglo-Saxon discipline of analytical bibliography offers an archaeology of the printed book. THIS COURSE IS NOW FULL. Contact us to waitlist.